After work I went to dinner with Ali and Kat, two of my old housemates from when I lived in a shared house in Clapham. It was a great catch up, as it always is with these two – though it makes you realise how quickly time passes you by when it was months since your last dinner, yet it felt like just yesterday. 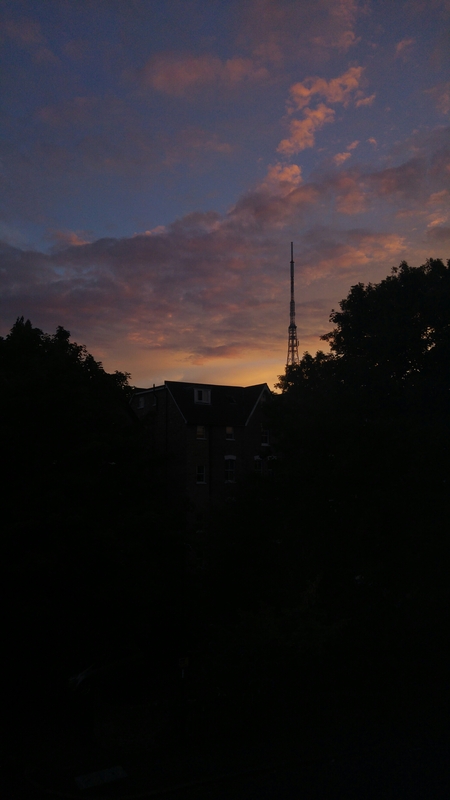 Sadly I had to keep it brief and leave Cinderella style before 8pm as I forgot my bike lights (not quite as stylish as a princess)..
An upside of this was making it home just as the sun was setting, and getting this picture of the glorious sky about Crystal Palace Radio Tower.